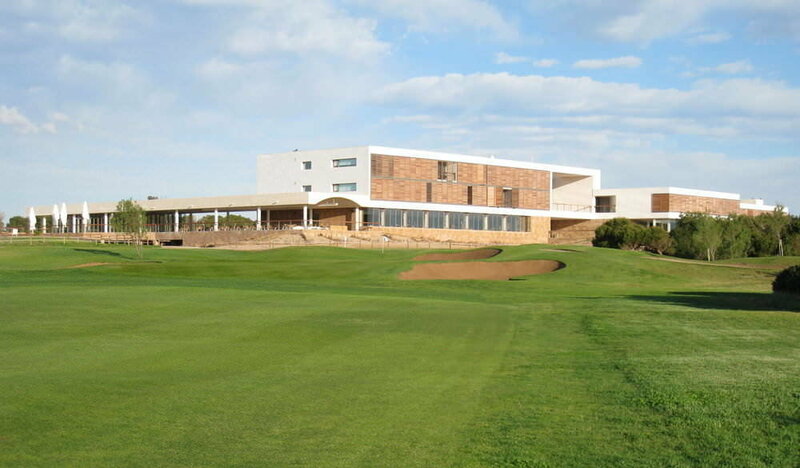 Maynooth University's Stuart Grehan heads a 14-strong Irish army for the Spanish Amateur Championship for the King's Cup at El Saler from March 1-5. The GUI has not sent an official panel, though it will be sending an official team to European Nations Cup at Sotogrande at the end of March. However, the GUI has pointed out in an email that "all members of GUI panels are entitled to claim receipted expenses up to the value of €600 for the trip and in addition to this an extra allowance is made for each extra day they progress in the match play section." The list of events that panel members can attend and claim receipted expenses is detailed below: Portuguese Amateur, Spanish Amateur, Lytham Trophy, French Amateur, Welsh Amateur, St Andrews Links Trophy, The Amateur Championship, Brabazon Trophy, European Amateur and US Amateur (subject to qualification based upon WAGR top 50 ranking), the Bonallack Trophy, the Irish Open and the Open Championship..."
1. In the event that the player is balloted out of the draw or official waiting list for the event, the subsidy shall be returned to the GUI. 2. In the event that the player does not travel to the event, except in exceptional circumstances, the subsidy shall be returned to the GUI. 3. Panel Members must retain receipts in respect of all costs incurred. If the total of the receipts retained is less than the subsidy awarded, the player must return the balance to the GUI within 14 days of the completion of the event. 4. The maximum amount to be awarded to a Panel Member under this scheme in any one year shall be €4,000. In the event that a Panel Member is in receipt of funding from Sport NI, such monies shall be taken into account when determining the maximum amount. 5. Subsidies will not be awarded under this scheme for other expenses incurred by Panel Members (eg medical, equipment, clothing etc). 6. Subsidies will be paid to Panel Members upon receipt of confirmation of entry to the Championship, provided that they are not members of the official GUI Squad participating in the event. 7. A Panel Member who is in receipt of funding from Sport NI for a particular qualifying event may not apply for a subsidy under this scheme for that event. 8. A players in receipt of a subsidy MUST wear official “Ireland Golf” playing apparel, provided that they have been supplied with same. Should a Panel Member fail to comply with terms and conditions numbers 1, 2, 3 or 8 he shall automatically forfeit his entitlement to avail of this scheme in the future. The GUI also adds that, "This scheme is also available to exceptional members of the National Boys Panel, subject to their commitment to compete in the European Boys Team Championship." Grehan will be joined by Kevin LeBlanc, Mark Power, Colm Campbell, John Ross Galbraith, Robin Dawson, Colin Fairweather, Jonathan Yates, Tiarnan McLarnon, Ronan Mullarney, Sean Flanagan and Jordan Hood. The top 32 after two rounds of strokeplay qualify to play for the Match Play stage with ties decided by the last 18, 27, 30, 33, 34 and 35 holes. The same criteria apply in the Spanish Women's Amateur for the Queen's Cup, which will be played at Sherry Golf Jerez in Cadiz from March 1-5 with Chloe Ryan, Maria Dunne, Annabel Wilson, Paula Grant and Georgia Carr all teeing it up. Dunne was the only Irish player to qualify last year but bowed out in the first round to French player Pauline Roussin-Bouchard. A number of the top class Irish field competing in the Championship have made a strong start to the season already. Castletroy's Ryan finished best of the Irish at the Portuguese International Ladies Amateur Championship at Montado in January, finishing in a tie for 13th. Grant tied for 11th in the R&A supported South American Amateur Championship in January. Dunne, Ryan and Wilson will lead Ireland’s hopes in the Nations Cup event, which will be played simultaneously with the first 36 holes of the Championship. The Cup will be awarded to the two lowest scores of each day. Dara Lernihan’s journey to the last 16 was the only highlight for the six-man Irish contingent in the Spanish Amateur Open Championship at La Cañada in Sotogrande. The Castle player was the only Irishman to make the cut for the matchplay stages and while he beat Finland’s Tapio Pulkkanen at the 19th in the first round, he was defeated 3 and 2 by Denmark’s Rasmus Lykke-Kjeldsen in the afternoon.